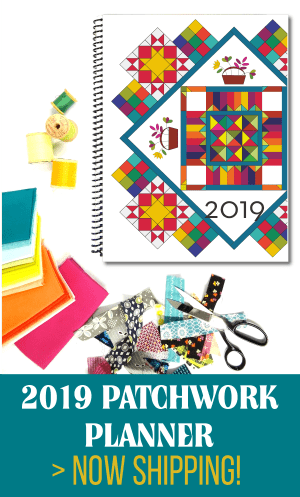 There have been many times when I have pieced a quilt, quilted it, bound it…and then loved, washed, loved, washed, repeat many years, and then I find it. The dreaded hole! Most of time I can blame no the kids, but the fabric. 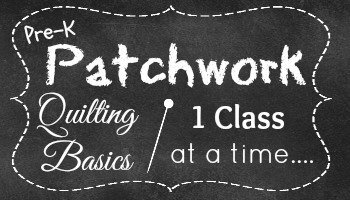 The fabric wasn’t the best in quality when I started quilting, and to be honest I had no idea what I was doing, buying or sewing! I went off of- hey, I kind of like this emotion. I happily went home to sew something up right away with the new fabric that I had bought. Come to find out a few years later, that that method wasn’t the best in determining what fabric to use in the quilt. I should have taken a look at the quality of the thread. Or noticed that it had a bunch of sizing so it would make a popping sound when my needle sewed through it. There are a few ways to find out the quality of the fabric you are buying. 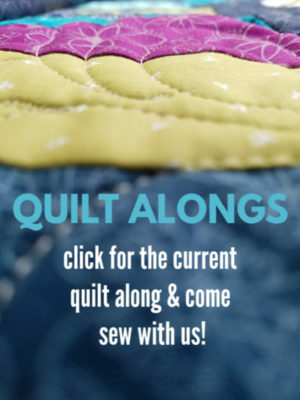 1) purchase fabric from online or local Quilt shops. These are the places that carry the best part of the fabric when it is produced. Go often and touch the fabric! It’s kind of like baking bread. After a few times, you just ‘know’ what the dough should feel like. You fingers will catch on to what quality fabric should feel like. Learn the feel! 2) hold the fabric up to the light. Single layered, if you can see the person you are standing next to through the fabric, it probably isn’t the best. It might be the cutest thing on the planet, but if it is translucent you will quickly not have a quilt after it is washed a couple of times. 3) check the salvedge edge. See who produced it. Sometimes there are lines of fabric that are printed for different stores. Make sure the original fabric design company is listed, and not the store it is printed for. You might be taking a chance on it if it has a different name. 4) can it stand on it’s own? this kind of goes along with #1. You will learn to have a feel for fabric. Some fabric has a lot of sizing on it- so much so that the fabric can almost stand on it’s own! It stiffens the fibers, and can be a bugger to wash out. This can be a sign of possible bleeding of color too- you never know. My goal in life is to never make a quilt that will be around 101 years. I want the quilts that I sew to be used, and worn into the ground. I don’t mind that! I love to find my kiddos snuggled in something that I made them….or that they ask for a new one- just because. 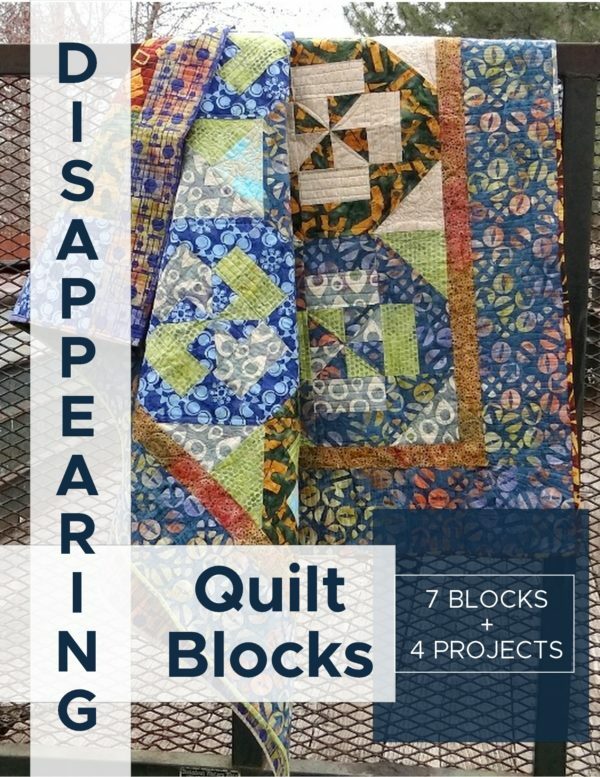 This to me is the ultimate joy of quilting for me. With that though….I don’t enjoy my quilts falling apart because of shoty fabric, bad thread or crappy, fading prints. I am more careful in my selection now. I know that they will be worn out because of use, not because of the material I used. Follow the year long series via email. I’d be happy to send you a reminder! Sign up here. 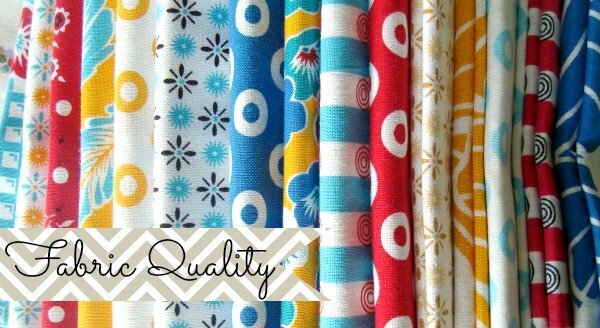 Q & A: What’s your take on fabric quality? Does it matter to you? How do you make sure that you don’t get holes in your projects? Have a suggestion, tip….let’s talk about it in the comments! The first thing I do when looking for fabric is see whether it was manufactured in the USA or not (and I am not an American!). If the names of my favourite mills don’t show, I don’t buy. If it says India or China, it’s a no-brainer! Don’t buy it! I only buy from name-brand American manufacturers. That way I feel I am getting my money’s worth and the fabric will last. I have used Hobby Lobby’s fabric in wall hangings/decorative pieces. It seems to hold up, but who knows in 20 years. I made this mistake once. The very first quilt I started to make was made with fat quarters from a big name fabric and craft store and quilt store fabric. I cut everything up, sewed it together and when I went to piece the blocks, I was stopped in my tracks by how “off” they were. After looking at them for a long period of time, I could see the problem: the fabric from the big box store was just not the same quality. 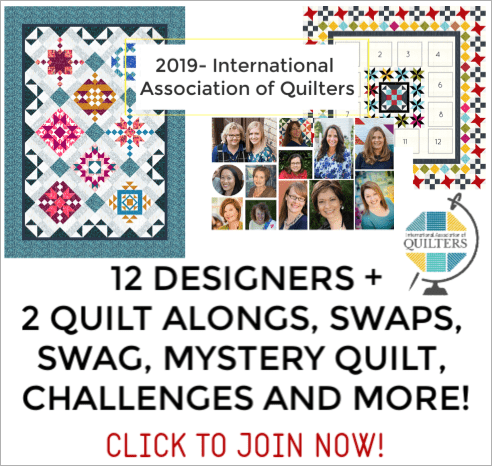 I was so angry that I threw most of it away and didn’t start a new quilt for a good six months! That was one mistake I’ll never make again! I know what I like and if I’m going to invest all that effort and time into a quilt, I want it to last. Now I only buy quilting fabric from certain producers. It may cost me more initially, but it’ll pay off in the long run!